The Swan River Seaplanes - Margaret River Wine Tour is perfect for you. 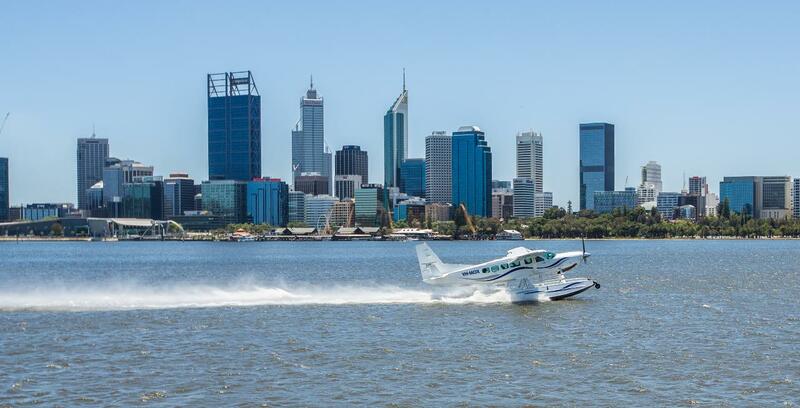 This unforgettable experience combines spectacular seaplane flights taking off and landing on Perth's iconic Swan River, exhilarating low-level flying over the Western Australia coastline and the indulgent, world class wines of the Margaret River wine region. Believe it or not, these bucket list experiences are part of one remarkable day trip, departing after breakfast and returning in time for afternoon drinks. 9.00am Depart Swan River via Queen Street Jetty, South Perth. 10.00am Arrive in Margaret River and be welcomed by our expert local guide. 3.00pm Depart Margaret River by seaplane. 4.00pm Land on the Swan River. 4.30pm Return to hotel via complimentary transfer. *Tours operate Thursday to Sunday until March 2018, before returning in October 2018, times are a guide and may vary. Not only will we pick you up from your hotel lobby, but we will fly you directly out of the Swan River, where the Perth city skyline will make for a unique backdrop. Once airborne we head south, flying at along the spectacular Western Australian coastline, all the way to Margaret River. Following your stunning flight, Top Drop Tours will introduce you to the wines that have made Margaret River stand out as Australia’s most exciting premium wine region. Enjoy guided tastings of award winning wines at two hand picked Margaret River wineries, explore the natural beauty of the region and enjoy the best of fresh, local produce with a delicious winery lunch. Upon completion of your Margaret River experience, you will return to Perth, landing on the Swan River in front of thousands of office workers, wishing they could swap places with you.